Thanks for following along my mini-series on my Dad, who I believe is The Most Interesting Dad in the World. 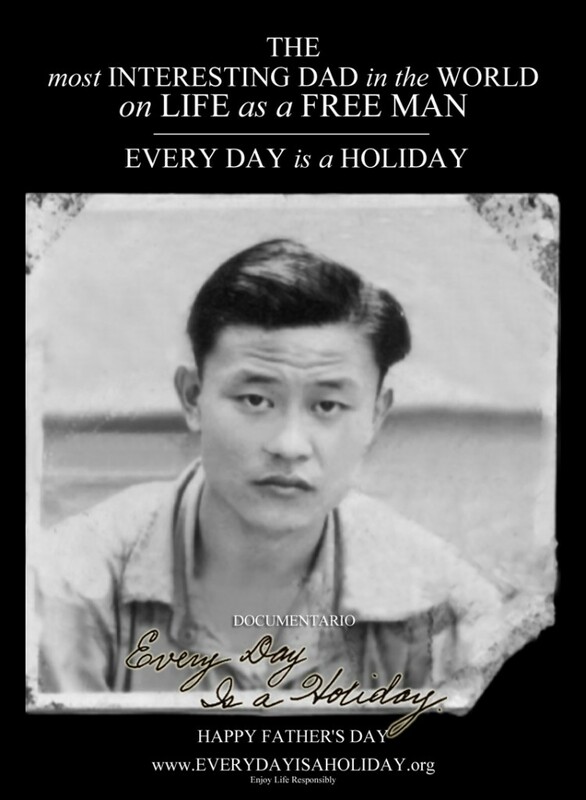 He was a prisoner of the Japanese and the US Immigration and Naturalization Service. Both were forced to release him. He served in the Royal Air Force, Merchant Marine, and US Army. An American torpedo struck his ship… and bounced off. He arrived at Ellis Island for deportation. He once lied about his age… so he could get drafted. He was able to drive a medium tank before he could drive a car. After knocking three times, Congress passed a law to make him a citizen. He held secrets from the Japanese, then from his family, for over 60 years. He has a lamp made out a leg. He is… The Most Interesting Dad in the World. Live every day like a holiday, my friends. Learn how to buy a copy of Every Day Is a Holiday on DVD, where you can also sign up to be notified when the film becomes available on premium streaming services and other events.